The Military Authorities at Woolwich made themselves responsible for the conveyance of the body to Malvern, where by the kindness of the Wireless Depot [a Royal Engineers training depot at Worcester], a military funeral was arranged. The coffin draped with the Union Jack, was brought from the station on a gun carriage. A firing party was in attendance, under Sgt McClean and was made up of the following members of the Wireless Section: Cpl Hockaday, L/Cpl Rutherford, Sappers Sherwood, Brock, Sanders, Roberts, Letts, Barnes, Masters and Curtis; Pioneers Rose, Marshall and Lumley. 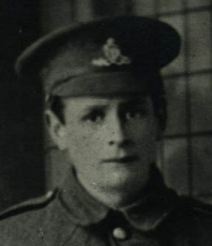 The Last Post was sounded by Sapper Shipley. The body was met at the churchyard gates by the Rector of Guarlford (Revd F J Newsom) who wore a cope and was attended by a cross bearer. The service in the church included a short address and the singing of the hymn Jesu, Lover of My Soul. The coffin was placed in the Chancel, surrounded by six lighted funeral tapes. At the graveside the hymn Through the night of doubt and sorrow was sung and after the final Benediction, three volleys were fired and the Last Post sounded. 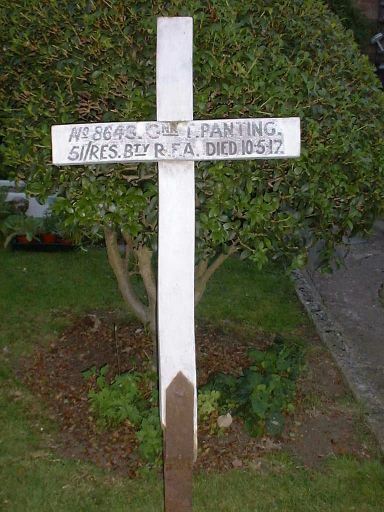 All who were present must have felt strongly the close comradeship which binds all members of the army, making it possible for this lad to be laid up to rest with military honours in a spot so far remote from the scene of his military labours.